Various selection of pictures from 2008 in Kathy playing tetris. Click on pictures for medium view. Right-click/save to save and/or view different resolutions. 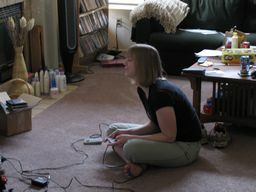 Here's Kathy on the nintendo(SNES!) 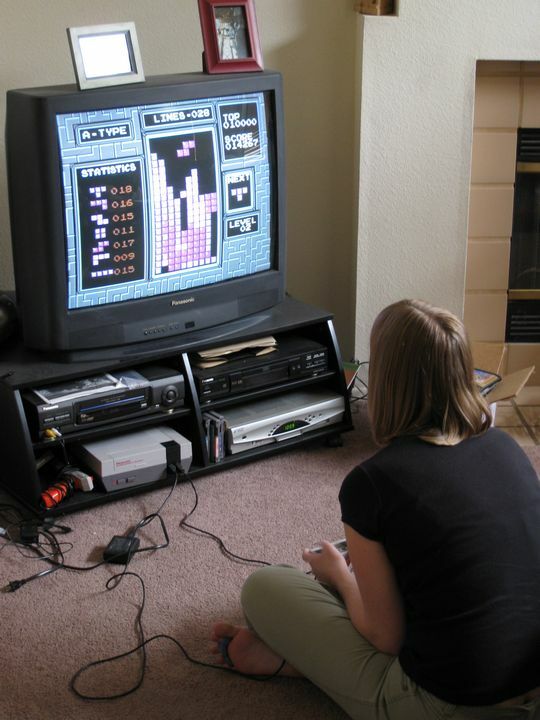 and her current addiction: Tetris. 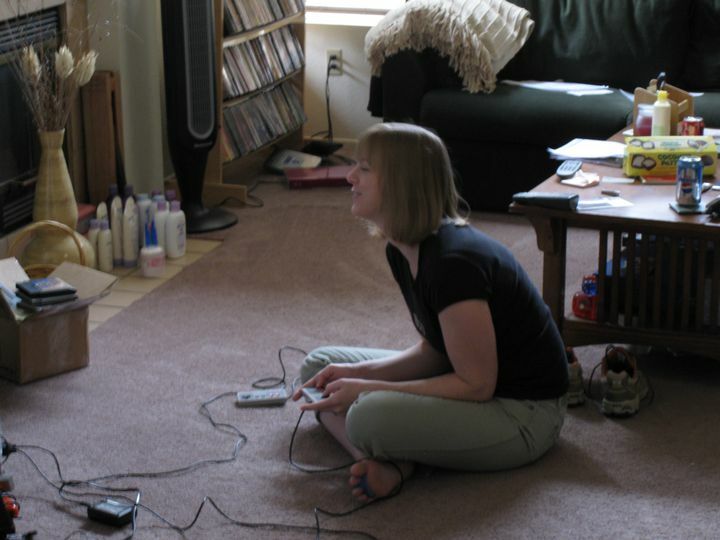 It used to be Zelda, but she passed that a few times. Hehehe... i never thought getting the SNES off ebay would lead to this! This would be Kathy being greedy! She can regularly get 120k+ points to get the UFO!